Hawthorn's florist is in the heart of Victoria Park Village, East London. Beautiful, seasonal flowers are always available - arranged by colour themes, the shop is stylishly laid out. Debbie and her team are on hand to advise you - they have a wonderful selection of fresh blooms to choose from. 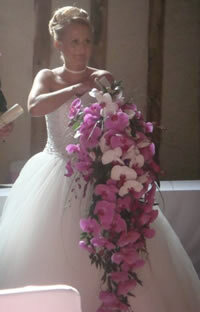 Wedding bouquets are a speciality and Hawthorn's excel in their designs of orchid wedding bouquets. Their personal service will ensure an outstanding display on your special day. Contact the shop direct by telephone or by email to arrange a personal consultation and discuss your preferences and requirements. 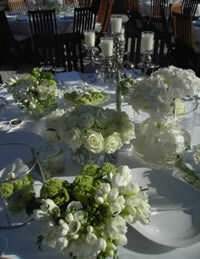 There is also a vase hire service available for table decorations. The shop has a small but exquisite collection of orchids - beautiful as gifts and indoor plants including grasses and succulents, palms and exotics, local delivery for larger specimens on request. To complete your floral gift - why not include a beautiful designer glass vase, Hawthorn's has a great range in many gorgeous colours to suit all tastes and budgets. 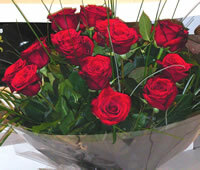 Flower delivery - by the shop to the greater London area, you can also order flowers to be delivered worldwide. To Place Your Order - please call direct, telephone orders accepted along with all credit cards including Amex (except Diners).